You've asked for it, and here you are! 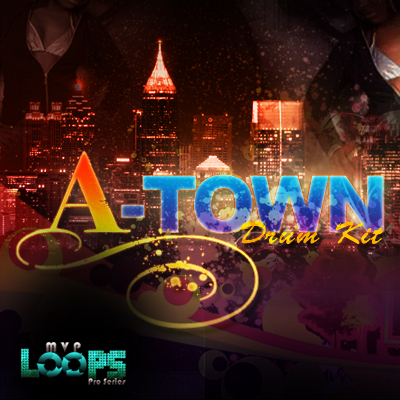 MVP Loops is pleased to present the A Town Drum Kit. A collection of 131 hand crafted, tweaked, and SSL/NEVE processed drum sounds. You will find hard hitting kicks, and booms, crackin claps and snares, shiny hi hats, nice percussion sounds, and plenty of machine gun style dirty south drum rolls. This kit delivers the authentic sound of the dirty south, and these sounds have been processed with the best SSL and Neve components to give you an incredible sounding drum package. The A Town Drum Kit auto loads for Battery, NNXT, Kontakt, Halion, EXS-24, Mach Five, and any hardware or software sampler that accepts WAV files. You've gotta have this kit....period. MVP Loops, Sounds Like A Hit! A Town Drumkit - NNXT/EXS24/Battery/Kontakt drumkits;hip hop drum samples 118395194 23.99 diggaudio Fresh Download Available!